For a special occasion treat that special person with a chauffeur driven journey or a chauffeur driven tour in one of our luxury Mercedes. 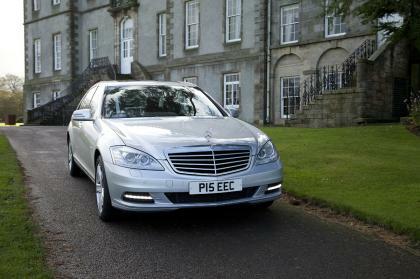 A journey with your own executive personal chauffeur will make it a very special one. Surprise your loved one with their own special birthday or anniversary personal tour. 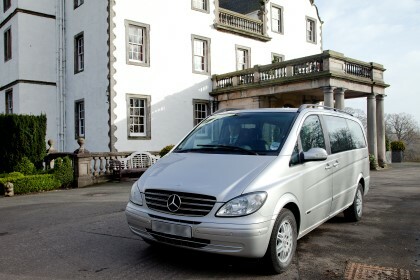 All vehicles are immaculately presented, please see our tour page for examples of tours. 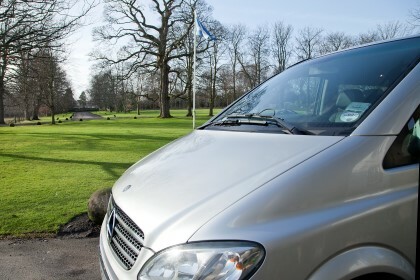 If you would like to arrange transport for a relative/friend coming into Edinburgh Airport, then why not arrange a personal chauffeur to collect them from Edinburgh Airport Arrivals. Instead of arranging an Edinburgh taxi, they could be driven by their own executive chauffeur. You can book your Airport Transfer on-line, by e-mail or by calling us. 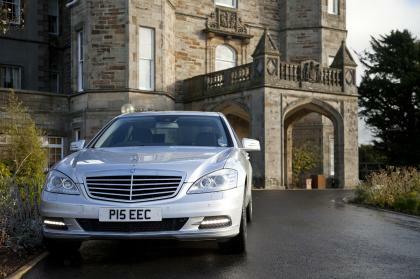 We can also arrange non-executive cars, contact us today for more information. Tom and I would like to say a huge thank you for all the arrangements put in place for our round trip from Edinburgh to St Andrews for our Wedding Anniversary. The prompt responses to our enquiry and confirmation of booking made us feel confident that everything was in place. Paul’s arrival 15 minutes before our departure time and for the return journey made us feel very relaxed. The cars were just first class. So clean and comfortable. I have used chauffeur services many times over the years for business and leisure and can honestly say that the service received this weekend was the best ever. It takes a lot of hard work to be the best and stay there and EEC certainly does that. We will be delighted to recommend your services to our business colleagues and friends. With kindest regards and continued success.